The Royans Professional Vocal School has had many students from the UK who have taken our unique Accelerated Vocal Immersion Course. 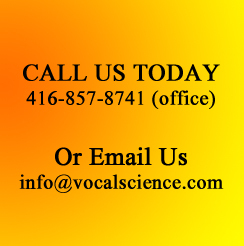 This course is the same as the regular Vocal Science program except it has been specifically formatted to provide accelerated vocal coaching, vocal training or speech development for out of town clients. It is delivered over 4 or 5 days and is ideal for clients who want to travel to our school for several days and learn the Vocal Science technique in an even more accelerated manner. 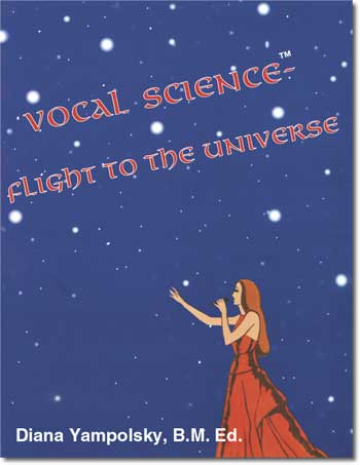 Ms. Yampolsky also travels to the UK often to provide vocal coaching and professional vocal training for singers from UK, as well as neighbouring countries in Europe, who are interested in learning the Vocal Science(TM) technique. Evie B, up and coming Opera singer from the UK. Successful Completion of non-surgical voice repair. "I am so excited right now that I just had to e-mail you. Im currently learning and singing pieces for auditions at conservatoire and I sang a well renowned coloratura aria called Let the Bright Seraphim by Handel. Its really hard to learn, yet I was singing it with total ease, I even felt like I was being reincarnated by Joan Sutherland, who was a very famous and brilliant opera singer of her time, the 50's to the 70's. Like Maria Callas everyone wants to be as good as these greats were and thanks to your technique, patience, kindness and everything you are Diana I can see great things ahead. My experience was so surreal just now I can't describe it!" "Anyhow, in the meantime the voice is sounding stronger. I am feeling loads stronger myself and the weight is dropping off without the wine, bread, diary (and all naughty but nice cakes etc). Making time for the herbs twice a day, drinking loads of Chlorophyll (actually think I am addicted) and doing a few exercises particularly before reaching to take a phone call. The new speaking through the upper palette is still not natural for me but am sure that when I do it, it relieves the vocal cords." Read more client testimonials of singers/speakers that came to us from countries as far away as USA, Japan, China, and other countries in Asia, all over Canada, New Zealand and other international countries. References for this program are also available upon request.